Our relationship with pharmacies is crucial for the caring of our people and to offer them access and the adequate management of their pharmacy benefits. Our Pharmacy Network Call Center is staffed with knowledgeable, fully bilingual pharmacists and pharmacy technicians to effectively assist you during your call. MC-21’s Pharmacy Network Call Center is equipped with state-of-the-art telecommunications systems that provide all the necessary features to maintain our customer services operations performing at optimum capacity 7 days a week, 365 days a year. The Pharmacy Network Call Center Support Representatives will assist you with information regarding the patients’ benefit plan, such as eligibility, co-payments, deductibles or co-insurance, will clarify alert messages, confirm a physician’s participation in a provider network, as well as other information required for claims management. Receive support and assistance when processing a prescription for medications that require authorization prior to dispensing. Designed to offer personalized services, well-staffed with bilingual representatives, equipped with the latest technologies, and available 24 hours a day, 7 days a week, our PA Call Center provides exceptional quality of service. Operations are continuously monitored and evaluated to maintain those quality standards that our providers expect and deserve. 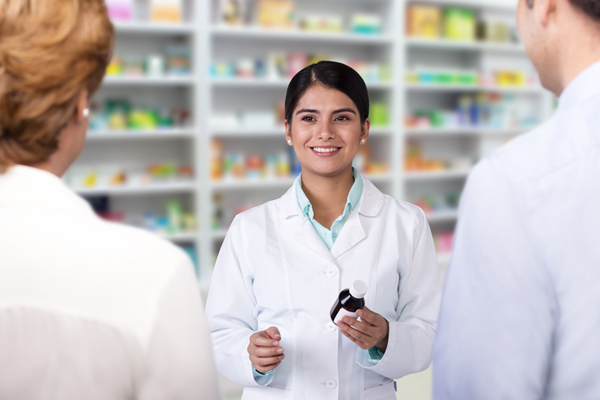 MC-21’s Pharmacy Services Center provides its Pharmacy Network members with administrative support to ensure compliance with applicable policies, regulations and laws and contractual agreements. This is a continuous, collaborating process that promotes sound business practices and ensures the upmost quality service standards for our clients’ members. The Pharmacy Services Center Support Staff will assist you with any questions regarding Pharmacy Network contracts, requisites for becoming and renewing as a Pharmacy Network member (Credentialing and Re-credentialing processes), among other Pharmacy Network needs. Pharmacy Services Center - Monday thru Friday 8:00 a.m. – 5:00 p.m.
Access the Pharmacy Network Providers Manual, forms and other pharmacy reference material. Pharmacy Information Update - Keep us informed on changes of pharmacy location, address, telephone or fax numbers, email address, etc. Pharmacy Profile - Provide complete pharmacy information for Credentialing and Re-credentialing processes. Since January 1st, 2009, the Center for Medicare and Medicaid Services (“CMS”) established as mandatory that first tier entities, downstream entities, related entities and contractors - including pharmacies - complete appropriate Fraud, Waste and Abuse (FWA) trainings. MC-21 is committed to prevent, reduce and control incidences of fraud, waste and abuse in accordance to federal and local laws. We have developed a training course tailored for pharmacies that serve Medicare Part D beneficiaries. Our goal is to guarantee that all MPD pharmacy providers comply with instructions for prescriptions billing and dispatch, as established by CMS. Who must complete the FWA training? Every person that participates in the administration or delivery of Medicare Part D benefits must complete this training. CMS mandates that providers complete a FWA training and attest that they have completed a FWA training by December 31st of each year. FWA Attestation Forms – once training is completed, print and fill out the Training Attestation Forms and send them to MC-21. MPD MAC List Application – Review the cost of a prescription drug included in Medicare MAC List. Search by name and / or date. MAC Price Review Request Application – Access MC-21’s PRICE REVIEW REQUEST application to ensure an agile and effective management of your request for the revision of a generic drug price. Go to Pharmacy PA Status Tool. Pharmacy member complaints or grievances are a means of continually improving the quality of our services. All Complaints will be handled in a timely manner. This process is supervised by experienced clinical pharmacists, and is focused on evaluating if medications requiring prior authorization comply with the clinical criteria approved by the Pharmacy and Therapeutics Committee that oversees their appropriate use. In addition, certain administrative criteria are evaluated for prior authorization, such as cost and travel, among others. Our expert pharmacy clinicians have developed a wide range of clinical programs aimed at promoting patient safety, the effective utilization of drugs, and, most importantly, to identify any potentially inappropriate use of therapy. Our programs are focused toward improving the quality of patient´s care, the physician´s prescription patterns, and the pharmacy dispensing activities. 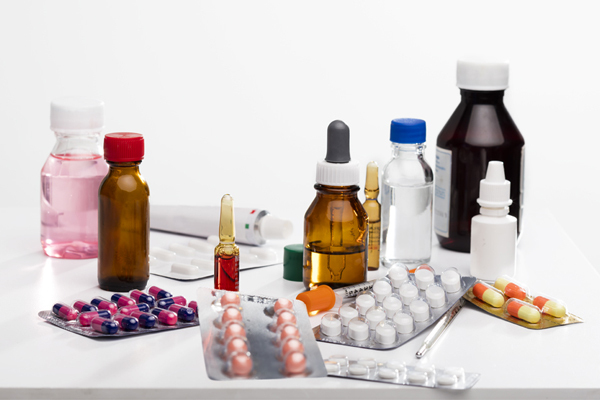 We believe that education is the cornerstone to prevent medication errors. Therefore, MC-21 has implemented a communication process that includes sharing the news posted by the Federal Food and Drugs Administration (FDA) on medication safety and recalls. For detailed information on how our Clinical Quality Improvement Program can help you, please call 1-877-741-7470. Designed to satisfy the needs of members with Medicare Part D coverage, this program offers services through an interdisciplinary clinical team for treating chronic conditions such as asthma, diabetes, COPD, hypertension and hypercholesterolemia. It focuses on optimizing the therapeutic results through orientation in the adequate use of medication and the reduction of serious side effects, including adverse medication interactions. This program is focused on improving our members´ service quality by providing ways for them to stay in their treatment. The program aims at integrating all patients´ care participants in promoting therapy adherence, guarantee the appropriate use of medication, and insure a top level of care and satisfaction while helping patients manage their conditions. For grievances and appeals, the enclosed document should be printed and completed. To submit an appeal, a letter justifying the appeal should be sent. Make sure all documents are complete, legible, signed by the corresponding physician, and sustain the reason (s) for the appeal. Appeals should be sent via fax to 1-866-387-3487 or by mail to: Client Service Department, MC-21, Call Box 4908, Caguas, PR 00726. Appeals should be received before15 days from the date the patient received the notification of denial. Documents will be evaluated and a reply sent within the 10 working days following their receipt. There is a continuous program of pharmacy visits. A team of MC-21 health professionals and experts in programs and services give pharmacies the necessary tools and education for an improved patients´ service. The E-prescribing program gives physicians real time information on eligibility, clinical and in formulary, patients´ past and current medication history, safety alerts on drug interactions and drug allergies, and other medication related problems. This information is available to physicians at prescription time, which promotes the integration of patients´ pharmacy benefits such as mail ordering, prior authorizations and compliance, among others. E-prescribing improves the safety of patients and physician´s care. MC-21 retail pharmacy network includes over 900 pharmacies in Puerto Rico and more than 69,000 in the United States, as well as a mail order pharmacy network. Our specialty pharmacy network integrates the implementation of clinical interventions in 100% of the managed cases. We also have the Flex 90 program, a 90-day maintenance medication dispensing program in a single pharmacy visit. This program is available in our pharmacy networks in Puerto Rico and the United States. The patient should discuss the convenience of this option with his/her physician. MC-21 uses a system called RxCLAIM for online processing and adjudication of prescription claims at the place of service, in real time. This system gives support to all pharmacy benefits and delivery programs available in the market. RxCLAIM supports all commercial pharmacy benefit programs, government programs (including Medicaid and Medicare Part D), Long Term Care, Hospice and Labor Compensation programs, among others. Our claims processing and adjudication system includes an application for the Coordination of Benefits (COB) at the time of dispensing medications. Through the patient´s eligibility process, the COB code is activated to indicate if the patient has an alternate health insurance plan and, according to the information on file, the primary and secondary health plans are defined at dispensing time.